(10429, Mrs. James H. Finley Collection, OHS). Situated in the heart of south-central Oklahoma, the Arbuckle Mountains lie in Murray, Carter, Pontotoc, and Johnston counties. The name honored Gen. Mathew Arbuckle, an early commander at Fort Gibson and namesake to Fort Arbuckle, established in 1851 near the Washita River in present Murray County. The range's elevation decreases from the western edge, commonly 1,400 feet above sea level, to the eastern edge, around 700 feet. Some of the oldest mountains in the United States, the western Arbuckle Mountains has a core comprised of Precambrian granite and gneiss that is 1.3 billion years old. These Precambrian rocks are overlain by Cambrian rhyolite that is 525 million years old. During the Late Cambrian through the Pennsylvanian, 515 to 290 million years ago, respectively, seas encroached and then retreated, leaving deposits of limestone, dolomite, sandstone, and shale covering the mountains. Lengthy weathering and erosion periods have significantly reduced the Arbuckles from their original heights. The Washita, the major river flowing through the range, has cut through the center of the physical region, creating a narrow canyon that is more than 350 feet deep in places. Located south of Sulphur is Lake Arbuckle, the major lake within the mountains. This feature is a twenty-three-hundred-acre body of water enclosed by thirty-six miles of shoreline that includes Chickasaw National Recreation Area. The lake also serves as a major recreation area for swimmers, boaters, and fishermen and is one of the best bass, catfish, bluegill, and crappie fishing spots in the state. 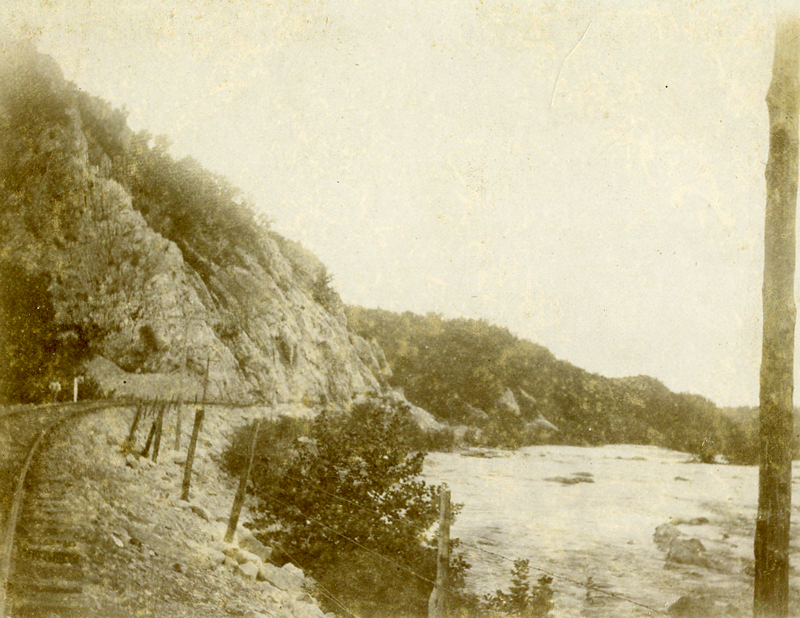 Within the Arbuckles is Turner Falls Park, one of Oklahoma's oldest. The park includes Turner Falls, a waterfall that plummets an estimated seventy-seven feet. Average annual rainfall across the Arbuckle Mountains decreases from east to west. The eastern edge of the range receives an annual rainfall amount of forty-one inches per year, and the western edge receives thirty-six inches per year. Average annual temperatures do not vary across the mountains, with an annual January temperature pattern between 40˚F and 42˚. July annual temperatures hover close to 82˚. The length of the growing season in the Arbuckles is between 215 and 225 days per year. The last killing frost in the spring occurs in late March, and the first killing frost in the fall occurs in early November. Where the soil is deep and rich enough to support woodlands, trees typical of the Cross Timbers dominate the mountain range. The Arbuckles are one Oklahoma's most important regions for mining limestone and dolomite. Glass sand is a mineral resource that is predominantly mined only in these mountains, and the largest outcrop area is located in northeast Johnston County. Historically, iron ore has also been mined in the region. Where limestone occurs, the soil is relatively infertile. The Arbuckles were part of the Chickasaw Nation's lands during the Territorial Era. Limestone outcrops, along with the ruggedness of the mountains, made the region a poor location for agriculture. The region's early settlers used the land for subsistence farming as well as for ranching. Animal grazing on the shallow soils must be monitored so that overgrazing does not occur. Areas that were poorly managed in the past have seen the encroachment of thick underbrush. At the beginning of the twenty-first century ranches remained the most noticeable homestead within the area, and they ranged in size from small operations to large spreads encompassing thousands of acres. Robert O. Fay, Geology of the Arbuckle Mountains Along Interstate 35, Carter and Murray Counties, Oklahoma (Norman: Oklahoma Geological Survey, 1995). James M. Goodman, "Physical Environments of Oklahoma," in Geography of Oklahoma, ed. John W. Morris (Oklahoma City, Okla.: Oklahoma Historical Society, 1977). Dale K. Splinter and Richard A. Marston, "Arbuckle Mountains," The Encyclopedia of Oklahoma History and Culture, https://www.okhistory.org/publications/enc/entry.php?entry=AR004.